Game streaming is an area of gaming filled with lofty promises and missed expectations, but built on genuinely exciting principles. Google’s Stadia, revealed at GDC 2019, appears set to right the wrongs of many of its predecessors. But for Google and its heir apparent platform to manage that, the company will first have to have understood where its new platform's ancestors fell. 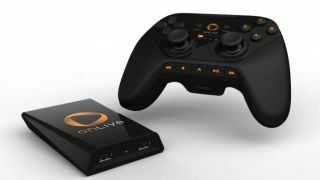 OnLive was a cloud gaming service that used remote servers to render AAA games, beaming playable video streams back to gamers in their homes without the need of expensive consoles or PCs. If that sounds familiar, it’s because it's the exact same principle that Google Stadia is built upon. Nvidia's GRID system, introduced in 2008, is specifically designed to support cloud gaming systems. It would eventually become the backbone of its GeForce Now service, which has offered multiple services, from using a home computer to straem to a cloud-based subscription service to its latest iteration, which offers users access to a remote virtual computer from which to rent and stream a huge variety of PC games.